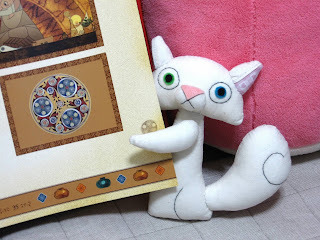 The Blog of Kells: Japanese Pangur Ban toy! Chris Battle just sent me a link on facebook to thsi Japanese blog where someone has madea Pangur Ban toy! Bizarre and amazing to me the reach this project has ! Nice job whoever you are!